What Is the Erythrocyte Sedimentation Rate Blood Test? What Is the Erythrocyte Sedimentation Rate Blood Test? When you and your doctor suspect you could have an autoimmune disease, be prepared to undergo a few different tests to figure out what’s going on. 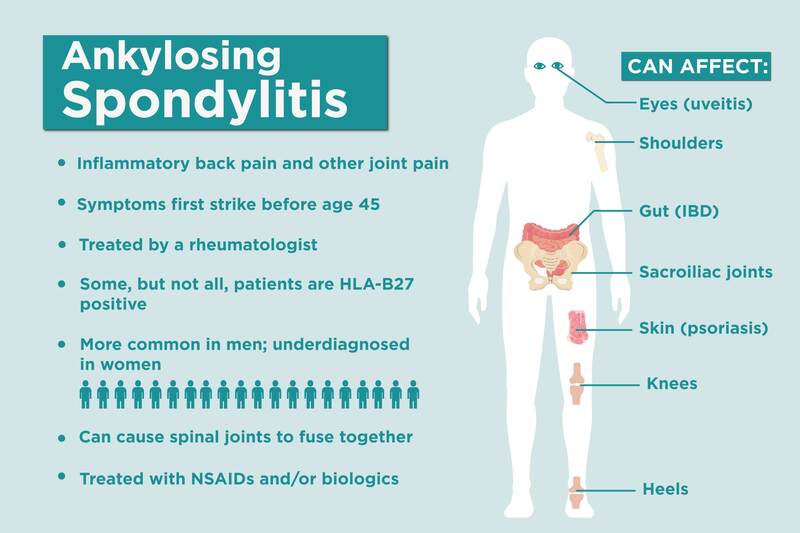 Most of the time, there’s no single blood test or imaging test that can definitively clinch a diagnosis; rather diagnosing a condition like rheumatoid arthritis, lupus, or ankylosing spondylitis requires a doctor evaluating your symptoms, medical history, and physical exam results along with blood and imaging tests. This is known as a clinical diagnosis. The erythrocyte sedimentation rate (ESR), also called sedimentation rate or sed rate, is one commonly used blood test in an autoimmune disease panel. 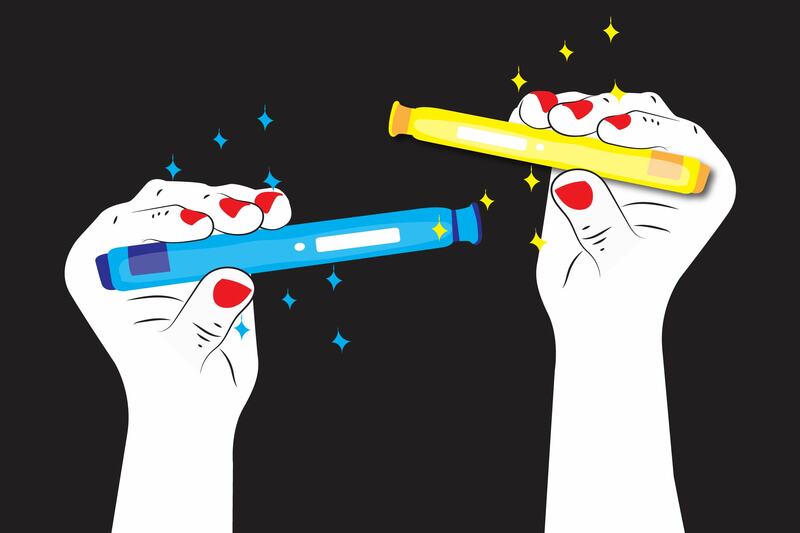 Here’s what it can — and can’t — reveal about your condition. 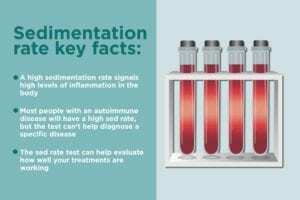 Erythrocyte sedimentation rate (ESR or sed rate) measures levels of inflammation in the body. When the body is inflamed, it starts producing abnormal proteins that make red blood cells (erythrocytes) clump together, says Stuart D. Kaplan, MD, chief of rheumatology at South Nassau Communities Hospital in Oceanside, New York. A doctor will put a blood sample in a tube, then measure how far the red blood cells sink to the bottom in an hour. They’ll drop faster when inflammation makes them form dense clumps, so a high sed rate signals high inflammation. What Do the Results of the ESR Test Mean? Red blood cells that travel up to 20 millimeters per hour is considered normal, says rheumatologist Steffan Schulz, MD, assistant professor of clinical medicine with Penn Medicine in Philadelphia. How Sensitive and Specific Is the ESR Test? The blood test is sensitive, meaning most people who have an autoimmune condition will have an elevated sed rate, as expected. On the other hand, it isn’t strongly tied with one particular disease, which means it is “extremely non-specific,” says Dr. Kaplan. “It is usually an indicator of inflammation, but it can be any kind, anywhere in the body.” An elevated sedimentation rate could mean anything from psoriatic arthritis or cancer to pneumonia or tooth pain. In one study on sepsis arthritis, for instance, the specificity was just 11 percent, which means that only 11 percent of people without the disease would be expected to test negative. What Diseases Does the Sed Rate Test Help Diagnose? What Diseases Does the Sed Rate Test Help Rule Out? On the flip side, sedimentation rate in the normal range might steer rheumatologists away from an autoimmune diagnosis. For instance, if a patient has joint pain but doesn’t show signs of inflammation, a rheumatologist might investigate osteoarthritis rather than an autoimmune inflammatory arthritis like RA, says Dr. Kaplan. How Do Doctors Use This Test to Monitor Your Disease? Watching inflammation levels may help doctors measure disease activity as they gauge how well a certain treatment is working. A study of 1,800 systemic lupus patients found that changes in sedimentation rate were linked with changes in disease activity, but other research has shown conflicting results. “I have some patients who have very aggressive lupus flares or autoinflammatory flares, and the sedimentation rate can be completely normal,” says Dr. Schulz. Why Else Could Sedimentation Rate Be Elevated?